I wasn’t aware it is almost completely new, at least for The Netherlands, as it appears it was available earlier in the USA, in Taiwan and in France: The Heineken 5 Liter DraughtKeg. We hosted a party last Monday and someone took a cooled Heineken 5 L DraughtKeg with him and installed it. I noted the recent transport didn’t create any frothy problem when using it. Installation was so easy and natural that it seemed the 5 L DraughtKeg was there already for ages…(off course similar systems are already on the market for ages). Not so: The guy who brought the keg is an early adapter. Today, after having used 7/8 of the 5 liter keg on Monday, I took it out of the fridge and had another couple of nice draught beers. It is a mini disposable double walled beer keg. The assumption it being double walled appeared to be wrong after I had seen a video where they sawed the keg through. It is pressurized and comes complete with an easy to install tap. Just tap the keg and draw up to 20 glasses of crisp draught beer. And with Heinekenâ€™s patented Intelligent Pressure System, you can be sure every glass, from first to last will be perfect. It comes with a very simple plastic tap mechanism in a blister pack on top of it and picture instructions showing how to use it. Chill the keg for at least 10 hours in your fridge. Remove the tap components from the blister pack on top of the keg. 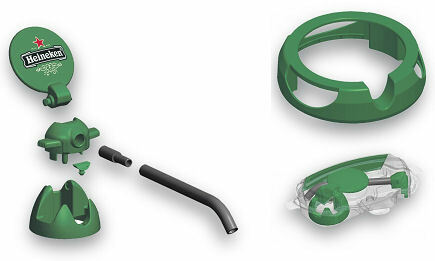 Remove the green plastic closing cap from the top of the keg. Snap the ring on top of the keg. Place the mini tap in the center of the ring. After first use the beer stays fresh for 30 days when stored in the fridge. You can take off the tap and re apply it. You can store it on its site in the fridge. No froth forming as with the traditional large keg in a tap installation. Some foaming during the initial pour is normal. It should settle down after that. For best results, the beer should be cooled for at least 10 hours at 2-5 degrees Centigrade (40-45 degrees Fahrenheit). Do not store at temperatures above 35 degrees Centigrade (95 degrees Fahrenheit). Do not shake the keg before usage. Make sure your glasses are rinsed and cool. There have been miniature beer kegs around for years, but thus far the tap mechanisms were horrible in use and you would hardly ever get the (at least in The Netherlands required) two fingers froth on your beer. Apparently Taiwan served as a test market and the first 1,000 kegs imported were sold within two weeks (source Nation Multimedia). Heineken introduced the Beertender in 2004 together with Krupps. 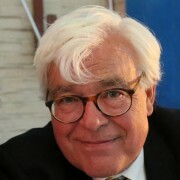 Later Philips followed with a similar system in cooperation with Inbev. It sold tremendously, but the disadvantage was that chilling the beer in the beertender took a long time and storing a half used keg was only possible inside the beertender. So I take it that the introduction of this new 5L DraughtKeg will eat the market of this Beertender. 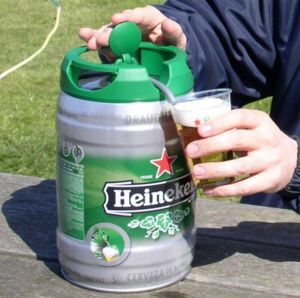 Dutch seafront bars are already complaining that the they sell less beer because of the 5L DraughtKeg (you have 3 to 4 hours of really nice cool beer after taking it from your fridge). The real reason is off course they charge horrible for a glass of draught beer. Most important consideration: It is much handier than slaving with crates with bottles. Most important question: Is it sustainable? Heineken claims it is recyclable…. Two Dutchmen hilariously addresses the sustainability problem: What to do with a shed of used DraughtKegs? It seems the last one is produced by Heineken itself. The funny thing is that in order to see video on the Heineken site (Yuck a site entirely in Flash) you have to give some proof of your age whereas no such thing is asked by YouTube…..
Hey friend this is the guy who recorded a DraughtKeg video on YouTube, we are from Croatia and language is Croatian. I’m sorry that you don’t understand. That suppose to be funny. Thx for publishing. Previous Previous post: Happy Hotelier banned from Facebook?